At last I have a little something to share with you! I've been mad busy this weekend cleaning the house! sleep somewhere, so the Craft Room aka Spare Bedroom had to be dealt with! Glad to say it's all spicked & spanned & the bed is now visible! lol! with a little butterfly border folder, then inked with a liquid chalk inkpad. The flower is from my stash as is the twine. I can't recall which font I used for the sentiment sorry! As you can see, I decorated the inside of the card too! Lot's of space on the inside for a message! Thanks for stopping by! I hope you like my card! Morning Dawn, this is gorgeous, love the colour and the flower is beautiful. Beautiful CAS card! 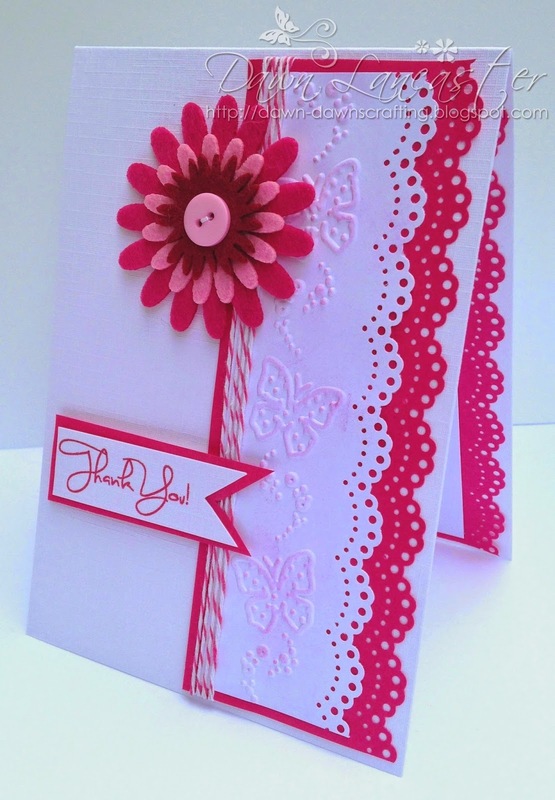 Love th colours and that lovely lacy embossing and border! Terrific card and gorgeous color! Love the soft colored butterflies for a little extra eye candy! 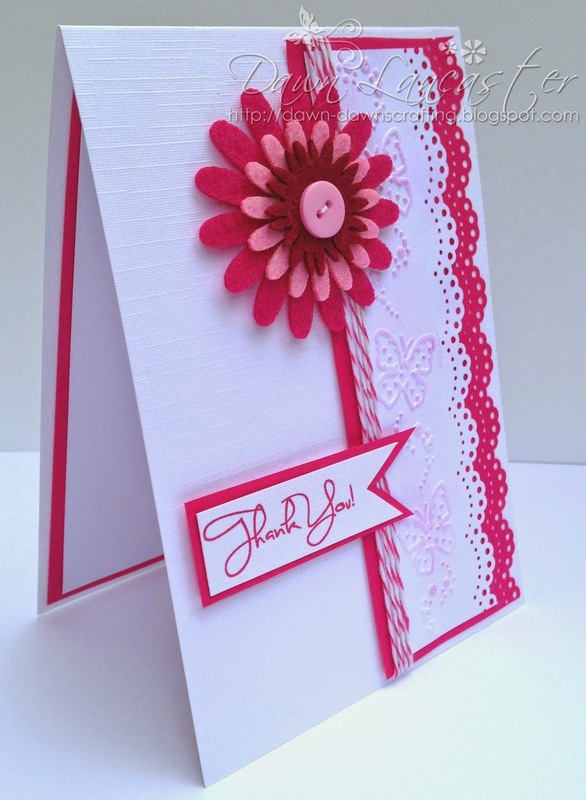 This is a fabulous card Dawn, the gorgeous pink looks so elegant against the white. This is gorgeous Dawn. Love the colours and design. Beautiful card. Thanks for joining us at the ePlay Embossing Challenge. I love it. The clean and simple always wow me beyond belief. But when I try to make my own, I don't like it. Ugh! Thanks for joining us at Chalk Ah Lot.